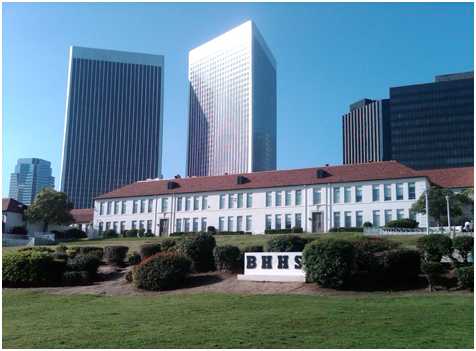 OWEN provided mechanical, electrical, plumbing, and civil (M/E/P/C) services to provide Building Condition Surveys (BCS) for planned facilities modernizations. Facilities to be modernized include the District office site, four K-8 sites, and one high school site. BCS field investigation services, to include full survey, investigation and compilation of existing conditions, are being conducted to report on all deficiencies related to M/E/P/C systems including building codes, fire and life safety, site utilities, and energy saving opportunities. Reports address existing conditions of M/E/P/C, sewer and storm water systems, identifying any critical areas within each system and systems requiring upgrades to meet current codes and/or areas of system deterioration, along with estimates for each improvement. Additional services include assisting the District in developing a Storm Water Pollution Prevention Plan (SWPPP) and civil engineering services to prepare topographic surveys of existing school sites.